For city officials in Lemon Grove, wildfire hazards really get their goat — or actually, a lot of goats. As has been the case periodically for a decade in the eastern San Diego County town, a herd of goats is voraciously eating open-space vegetation that otherwise would pose worrisome fire hazards as springtime warmth gives way to summer swelter. The bearded, cloven-hoofed creatures were let loose to vacuum up grass and shrubs and weeds last weekend on an undeveloped hillside off Lawton Drive and Mount Vernon Street, near state Route 125 in the eastern reaches of the community, said Miranda Evans, management analyst for the Lemon Grove City Manager’s Office. 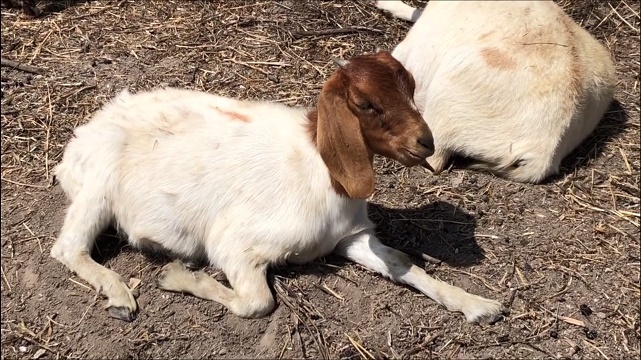 The throng of roughly 200 brush-hungry ruminants, provided by San Diego goat-rental company Environmental Land Management, are scheduled to consume wildfire fuels in various parts of the city this month on a $6,500 municipal contract. The going rate for the animals’ grazing services is $675 an acre. “So they do have quite a bit of work to do,” Evans said. City leaders consider the strategy a double-win situation, because goats, unlike gas-powered cutting machines, do away with flammable foliage without creating air and noise pollution — or possibly sparking fires in ironic fashion amid attempts to prevent them. “And if you think about it, they’re eco-friendly lawn mowers,” Evans said. The animals — which are penned while on the job in temporary fencing and overseen by human handlers and a Great Pyrenees livestock-guard dog — are expected to be in Lemon Grove for up to two weeks, busily working their way through “a lot of delicious meals,” Evans said.